Well, I was passing by within 30 miles and thought it would be a nice thing to do. Thanks. I'll be taking pictures for FG! I really like the olive one. None of those made it to our shores. 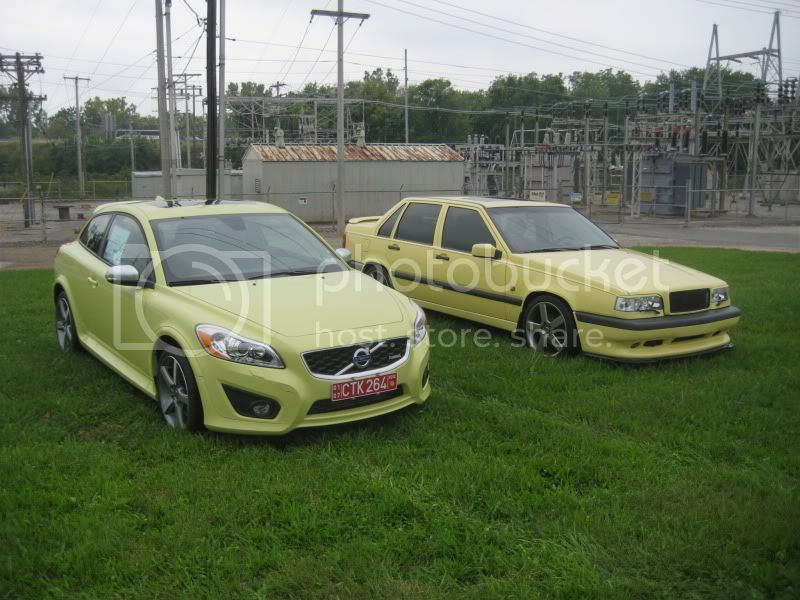 There are V70R's in that color though. A yellow manual wagon with 160k miles just sold for $9,200. I'm not too sure about this one...Too many performance mods have been done. If something breaks, you will be looking at very expensive bills, due to the rare nature of some of the parts used. But at this day and age, you will have a really hard time finding a stock one. My S70 is pretty much stock mechanically. Most of the upgrades are just cosmetic or brake/suspension related. No problem... I loved the colour. Well, I'm down the st. from Larz Anderson, so when the show days get going, we should all get together.